Our Tree Removal service has no limitations. We have the experience and equipment for any situation, be it a confined area removal or large scale felling and storm damaged trees and limbs. 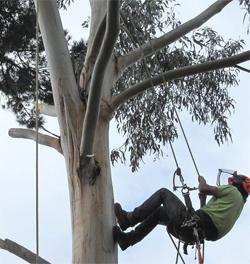 Using our qualified arborists, you’ll have your trees safely removed with the highest level of expertise in Hobart. 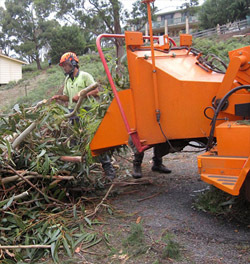 We have over 30 years’ experience and a wide variety of solutions for tree removal. With our skilful tree climbers led by Julian, we use the latest equipment and methods so no situation is too difficult, whether it be large or small, dead or dying. 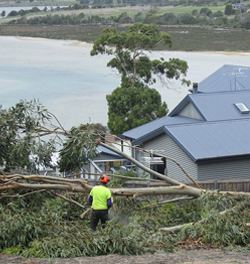 Our team of tree professionals in Hobart are experts in delivering excellent and safe tree removal services to Domestic, Commercial, Local Government and Schools within Hobart and surrounding suburbs. Trees ‘R’ Us are fully equipped to undertake block/land cleaning and new subdivisions. We can advise you on your local council requirements. Trust us to care for your trees. 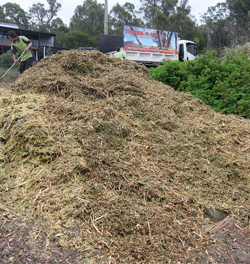 If you are left with a tree stump ready to be removed, we can help! Removing trees often will leave a tree stump that can attract pests and fungi, and thus leave damage to your property and a tripping hazard. Trees ‘R’ Us can grind your stump into sawdust within minutes or completely remove the whole root ball, making it safe for the environment. We use the most effective and safest method to remove tree stumps, with qualified personnel, so we get the job completed safely and professionally. Call Julian today on 0418 246 561 for a free, no obligation quote or to book in a job! At Trees ‘R’ Us we know that trees are important assets that require professional care, service and maintenance. We are proud to announce that we utilise modern spike-less tree ascending techniques that won’t damage the trees on your property.